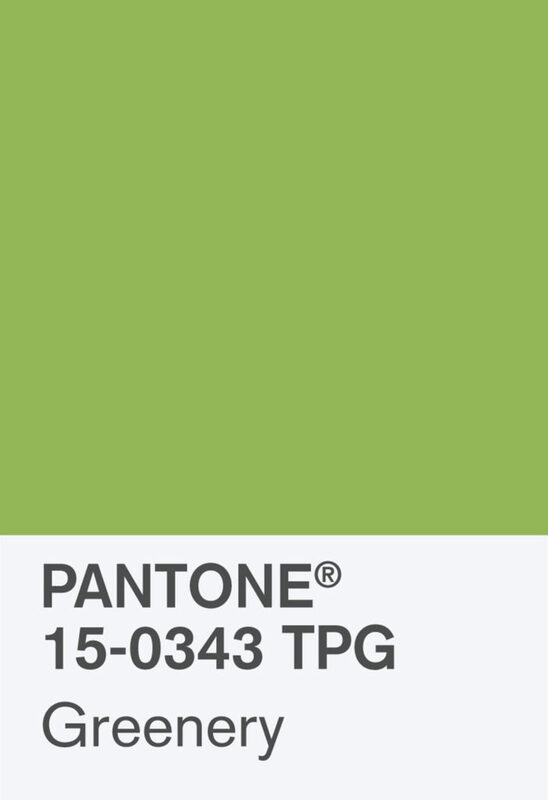 Since the year 2000, Pantone have been selecting a ‘Pantone Colour of the Year’ to reflect the current cultural mood and the far-reaching influence of this can be seen in all elements of design and throughout the world of interior design, architecture and fashion. Last year’s colour was a blend of ‘Rose Quartz’ and ‘serenity’ – both colours peaceful and welcoming and demonstrating a harmonious balance between the two representing mindfulness and connection. This year, the company has selected the colour ‘Greenery’ to represent this year’s mood, most closely signified by nature and the environment and a desire to disconnect with technology and reconnect with what is real. Ultimately, Greenery signifies fresh beginnings and rejuvenation and design is a perfect outlet for embracing these feelings. 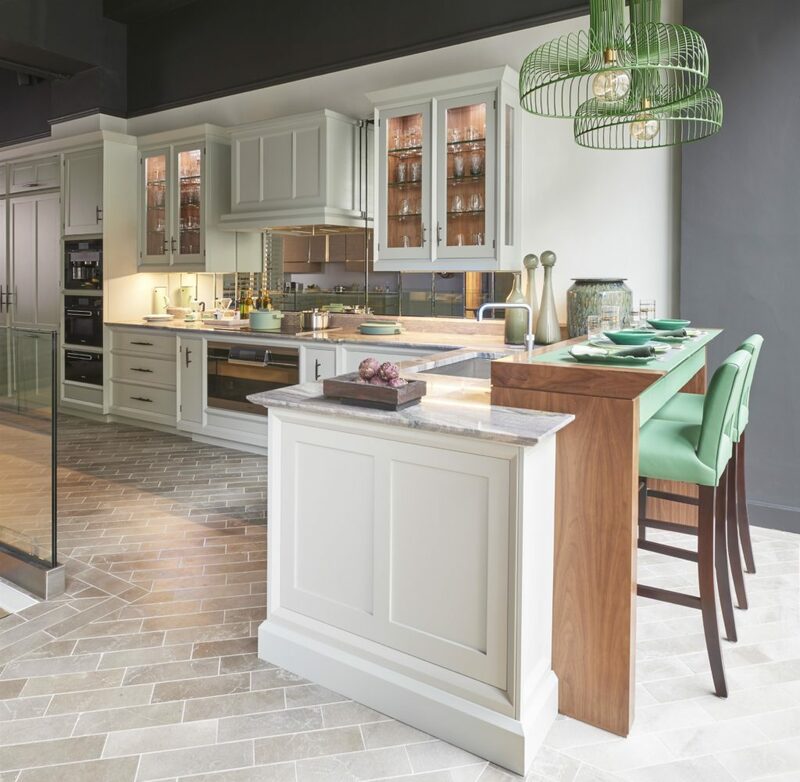 We have certainly seen influences of this colour trend coming through, and a great example of how the colour Green can be brought into the home with great effect can be seen here in this Modena Kitchen by McCarron & Co.
A striking mix of traditional shaker style panelled doors pared with sharp contemporary detailing such as deep chamfered edges and bespoke bronze handles makes this Modena Kitchen unique. This kitchen cleverly combines several shades of green in a harmonious way – ranging from the deep grassy green on the leather bar stools and leather wrapped breakfast bar through to the painted grey cabinets revealing subtle green undertones. When combined with rich walnut timber detailing and the natural grey stone of the surrounding flooring the colours are perfectly balanced and the overall effect is uplifting and fresh. 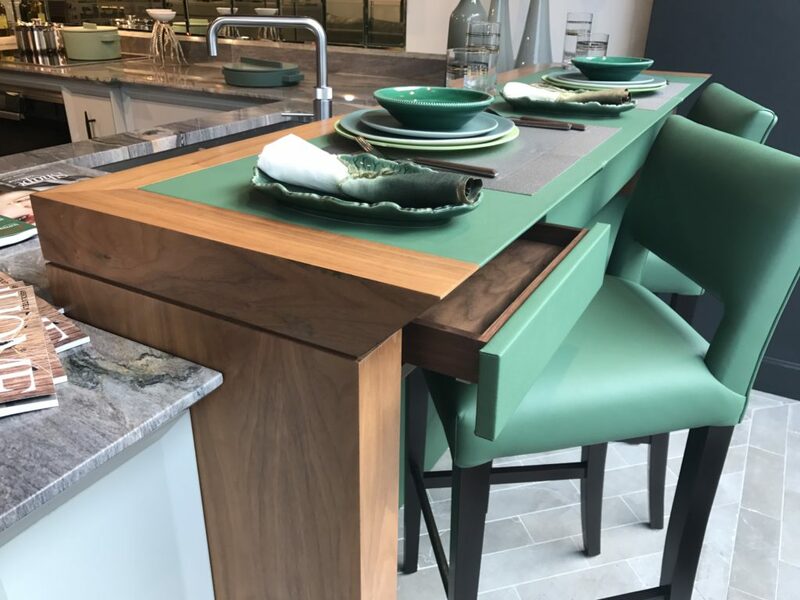 The raised level breakfast bar has a deep chamfered edge which reflects the detail of the cabinetry and has been wrapped in a luxurious hand-stitched green leather. Concealed drawers with leather fronts are great for extra storage space and these bespoke bar stools from The Dining Chair Company are the perfect match. The mirrored backsplash behind the hob cleverly adds a feeling of light and space to the design and the Aquarella Granite worktops contain rich natural veining with flecks of green, violet and grey running throughout. The use of natural, organic feeling colours and materials throughout the space really reflect the ‘back to nature’ theme of this years colour trend and we are sure that we will be seeing the colour ‘Greenery’ everywhere.